The first thing that we need to take care of when we speak of Physics is the study material you refer. NCERT is your bible; unless it’s completed you shouldn’t move out to practice questions outside of that book. If you want to score maximum marks, you need to put maximum efforts in self-study. Self-study will give you enough time that allows you to allocate enough time for everything from learning, practice, taking tests and evaluation. Make a timetable and stick to it. Half of your preparation would depend on your discipline and your productivity. Here’s what you can do it improve your productivity by enhancing your concentration. Can’t concentrate? Here’s what you should do. Learn your lessons conceptually: Click here for the best resource to learn concepts. Practice Exam Level Concepts: Practice exam level questions here. Give Chapterwise Tests/Full Tests: Take free online tests online. Analyse your performance: Once you give your test you will get a detailed analysis. Embibe helps a student by giving deep insights into the performance in the test. It also gives a student his relative performance as compared to the toppers as this will help a student identify the strong and weak areas and work towards them to score higher. The next thing that needs to be taken care of is prioritizing. 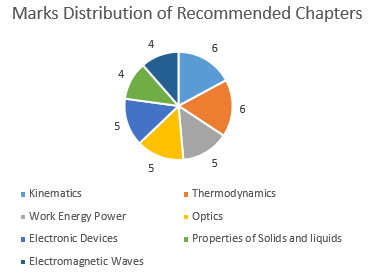 You need to select chapters one by one and this selection is extremely important. You should choose your topics depending on their importance and weightage in the exams. 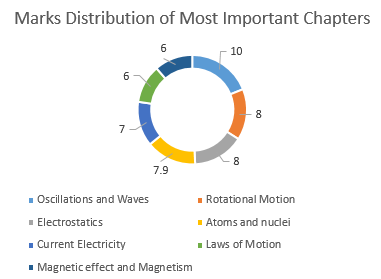 We have categorized your Physics syllabus into three broad categories depending on their importance and weightage. 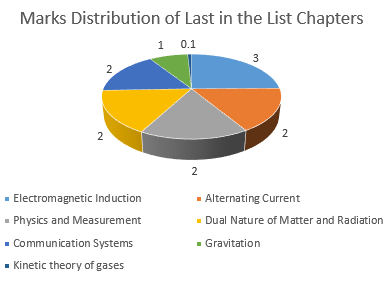 Here’s a list of chapters according to their weightage and importance of chapters in Physics. Here’s a detailed list of important concepts for your reference and for your download. 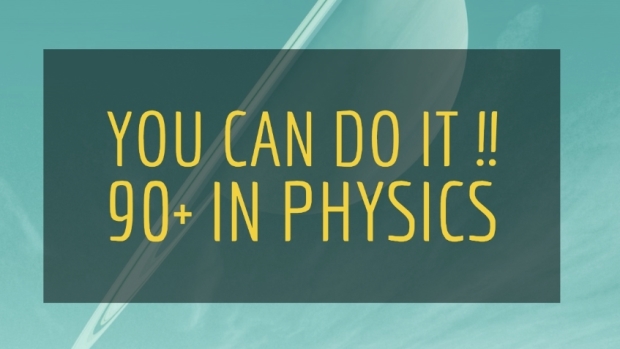 Want to score GURANTEED 90% in Phyics?